Rafael Benitez has insisted he is simply getting on with his job as speculation mounts over a takeover at Newcastle. News that PCP Capital Partners, headed by Amanda Staveley, had tabled a formal bid for the club sparked an excited frenzy on Tyneside earlier in the week, although Benitez is remaining philosophical as he awaits developments. Speaking ahead of Saturday's Premier League clash with Watford at St James' Park, he said: "For me, I have to prepare the team to make sure we're ready. But in terms of news, whether it has been done or rejected it doesn't affect us and we're not talking about it. "The players aren't talking about it. I was talking to three players today, but we were talking about last night's Europa League. We don't talk about that (the takeover), we concentrate on the things we can affect with the performance of the team. We can't change anything." Fans desperate to see current owner Mike Ashley relinquish control of the club after more than a decade are hoping he is granted his wish by completing a sale before Christmas, although that is looking increasingly unlikely with PCP's initial offer having come nowhere near to meeting his requirements. 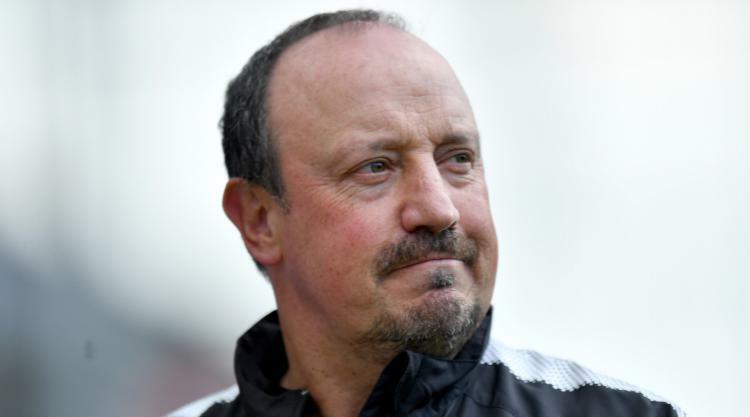 They are keeping their fingers crossed that a new regime would invest significantly in the January transfer window, although Benitez has issued a warning that spending could be limited whoever occupies the St James' hot-seat. He said: "It still doesn't change too much, so you have to look for good players if they're available - and in January, that's difficult. The last thing you ask about is the price. "If we have a change in ownership, we don't know if we will have money or not because the Financial Fair Play rules - they don't allow you to spend too much money. "We're just looking for good players, better players than we already have or to fix positions we need to fix." The Magpies will welcome in-form Watford to Tyneside looking to end a run of three successive defeats which has taken the gloss off their start to the campaign. They will be without midfielder Isaac Hayden, who is suspended after collecting his fifth booking of the campaign in last Saturday's 4-1 defeat at Manchester United. However, Mikel Merino is available once again following his recovery from the back problem which has kept him out of the last three games.